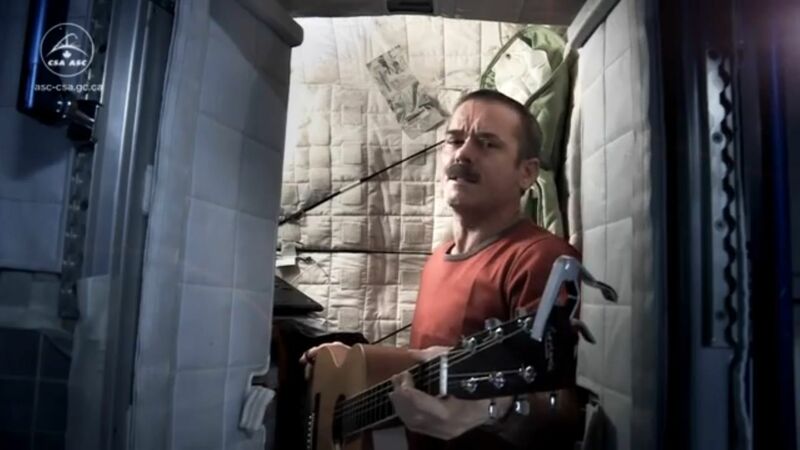 Chris Hadfield performs David Bowie's Space Oddity aboard the International Space Station. Chris was the first Canadian to perform an EVA. He was also the first Canadian to command the International Space Station, and the only Canadian to visit Mir. Not to mention, he is also the first person to shoot a music video in space! Page last modified: 20 August 2017 17:02:38.